The Australian market for seed treatment, estimated at US$16.6 million in 2014, is further forecast to record a CAGR of about 6% during 2013-2020. Chemical agents form the largest application of seed treatments in Australia, with an estimated 2014 share of 94.4%. However, growth in demand is expected to be the fastest for biological agents, forecast at a compounded annual rate of 6.8% between 2014 and 2020. By type, wheat forms the largest, as well as the fastest growing crop that is subjected to seed treatment in Australia, with the former estimated to have 22.5% share in 2014 and the latter a compounded annual rate of 6.9% during 2014-2020. The market for seed treatment gains in significance due to a number of factors, prominent among which are agronomic trends that comprise development of high quality seeds through the enhanced potential offered by genetically modified organisms (GMOs), changes in climatic conditions, increasing rates of crop rotation, flexibility in sowing approaches and greater pressure from regulatory requirements. Primary requirements of seed treatment include capability of offering good protection during the germination period, supporting early plant development and enhancing stress tolerance at an early stage. These can be achieved by improving the quality of seed treatment products that offer ease of application at low rates. In short, it may be summed up that the foundation for the future lies in the concept of innovation in seed treatment. Syngenta, Bayer CropScience and BASF are the top three players in the global seed treatment market, with all of them having an extensive portfolio of agricultural products and solutions. While BioWorks Inc, Advanced Biological Marketing Inc and Valent USA Corp are comparatively smaller players, they offer the potential of becoming big game changers in the area of seed treatment in future. Each company has adopted an individual approach in terms of strategy for future growth. A few have focused on horizontal growth by expanding their presence in emerging markets that offer greatest scope for future prospects, while yet others have been content to operate within their established boundaries and go in for vertical growth by concentrating on innovations in the area of products and solutions. 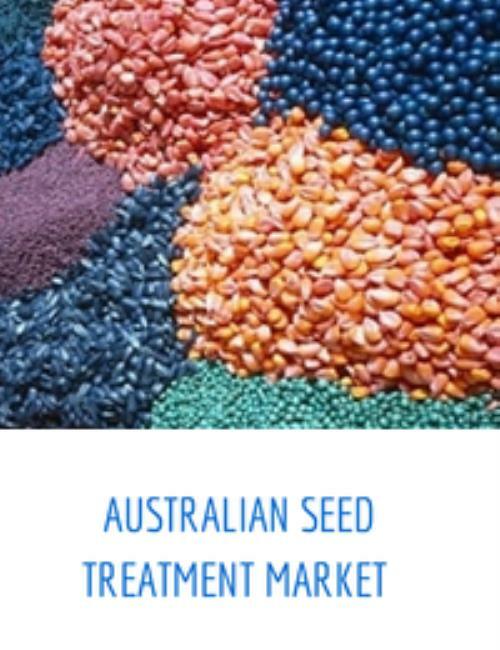 This report provides a comprehensive analysis of the Australian market for seed treatment based on application segments that include chemical agents (insecticides, fungicides and other chemicals) and biological agents. The other area analyzed includes crop type undergoing seed treatment, including corn/maize, soybeans, wheat, rice, canola, cotton and other crops. Companies covered in the report include Adama Agricultural Solutions Ltd (Formerly Makhteshim Agan Industries Ltd), Advanced Biological Marketing Inc, BASF SE, Becker Underwood, Bayer CropScience AG, BioWorks Inc, BrettYoung Limited, Chemtura AgroSolutions, DuPont, Germains Seed Technology, INCOTEC Group BV, INTX Microbials LLC, Monsanto Company, Novozymes A/S, Nufarm Ltd, Plant Health Care, Precision Laboratories LLC, Syngenta International AG, Valent USA Corporation and Wolf Trax Inc.
2.1 What is Seed Treatment?